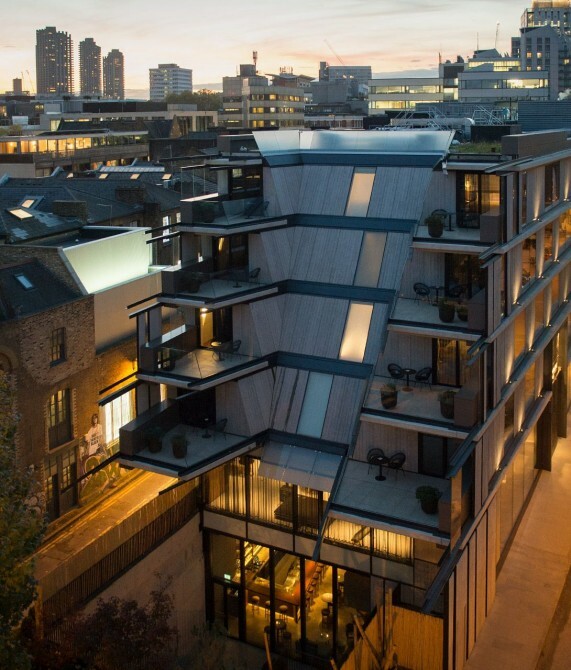 Contrasting the red-brick buildings and converted warehouses of Shoreditch, the hotel’s structure is a contemporary tapestry of glass, concrete, steel, timber, and bronze. Double-height entrance doors create a feeling of grandeur for guests as they step inside, while architectural highlights include sunken courtyard terraces, gardens, and a “pocket park”—a spot of land that the Nobu brand is giving back to the community as a “thank you” for the neighborhood’s hospitality. The building’s façade is flanked by cantilevered steel beams pointing east to acknowledge the hotel’s Asian roots. 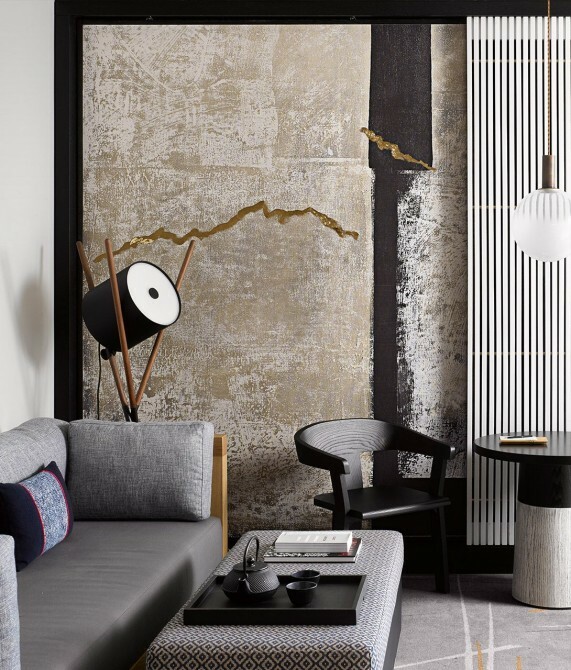 Aiming to marry Shoreditch’s industrial heritage with Japanese artistry, the interior design team created a textural interplay throughout the property: Japanese patchworks, tea sets, and Oriental design pieces contrast polished gray concrete, patinated metal, and dark stone. Rich timber and brass elements are also accentuated by low lighting and a dark color scheme. 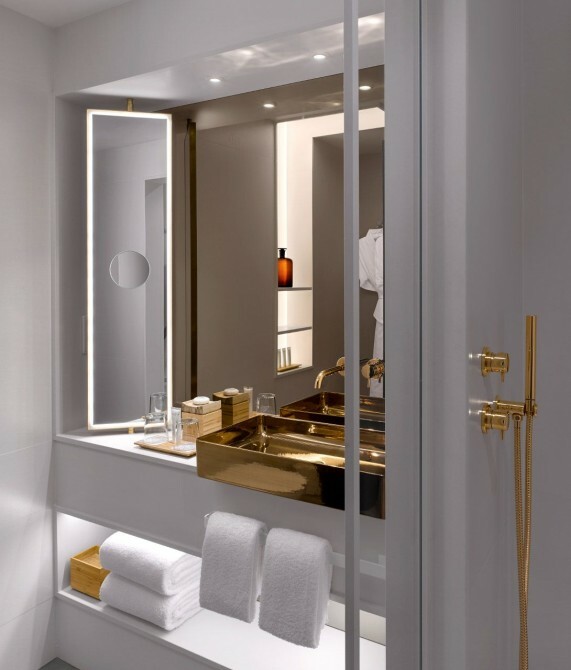 A deconstructed geometric pattern based on sumi-e—an ink painting technique central to East Asian art and philosophy—appears throughout the hotel, while white minimalist bathrooms play host to statement brass ceramic basins. In guestrooms, a moving wall of artwork by local talent Sichi—called “Taizai”, the Japanese word for “stay”—acts as a sliding window blind.